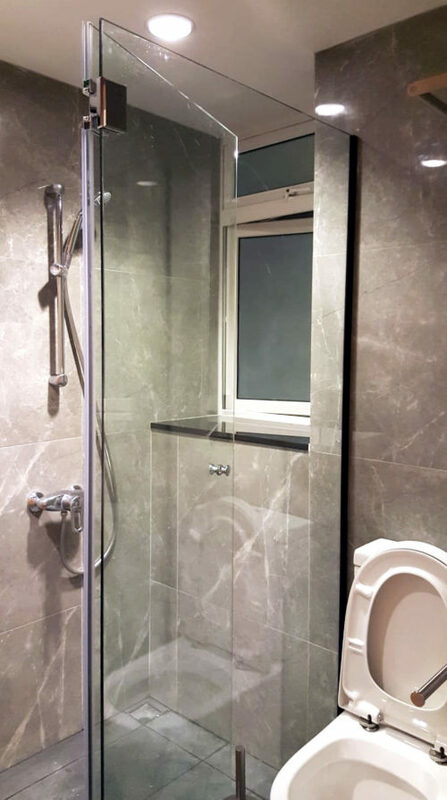 If you are looking at doing a small renovation that involves just your bathroom without affecting the other parts of your house, we have just the service for you! 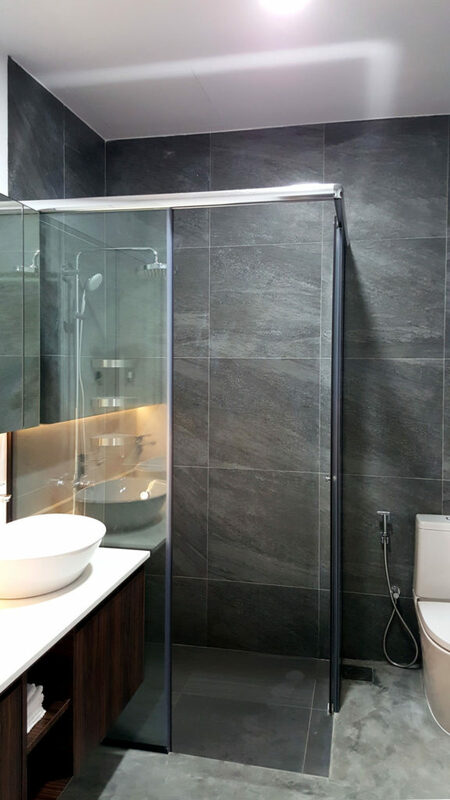 Reno Pro is happy to conduct renovation works for our clients no matter the size of the job, with the very same professional service that our concierge provides. This is because we understand that everyone’s requirements are different and we really want to make your home your ideal place. Home is where you relax and can finally lay back to enjoy after a long day at work or simply to rest and also spend your precious time with your family. 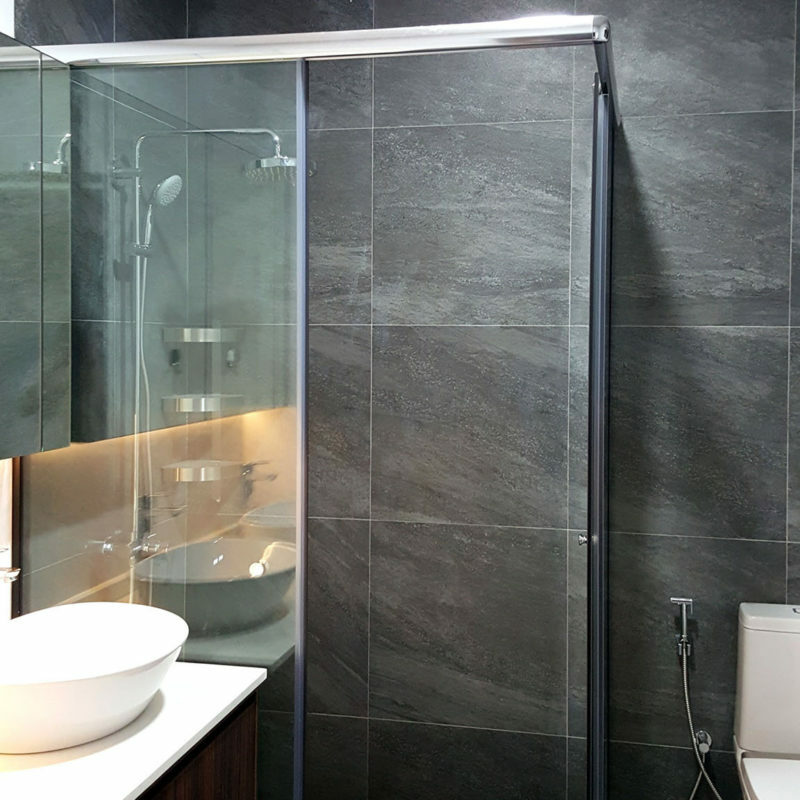 It is important to have a cozy environment to live in and that includes our bathrooms. With just the right color combination from the tiles to the toilet bowl, flush and the pipes, it can add a cozy vibe, vintage feel or a contemporary feel! No more pipe water leakage, no more toilet flushes that doesn’t seem to stop. 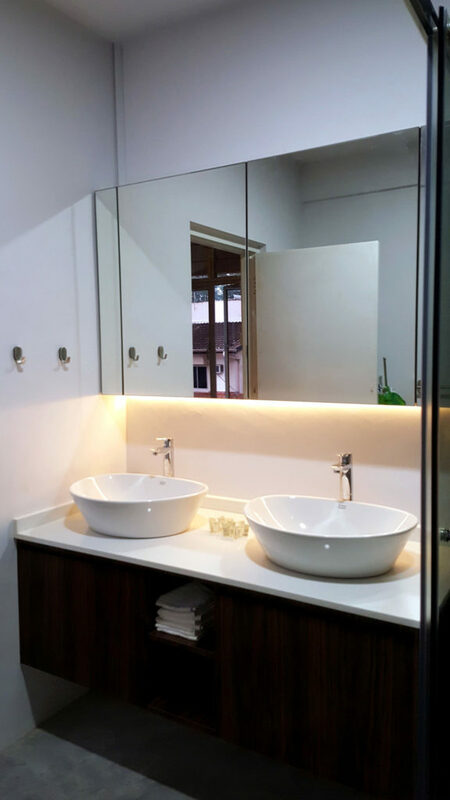 You will also get to select from bathroom appliances that will only improve your experience. 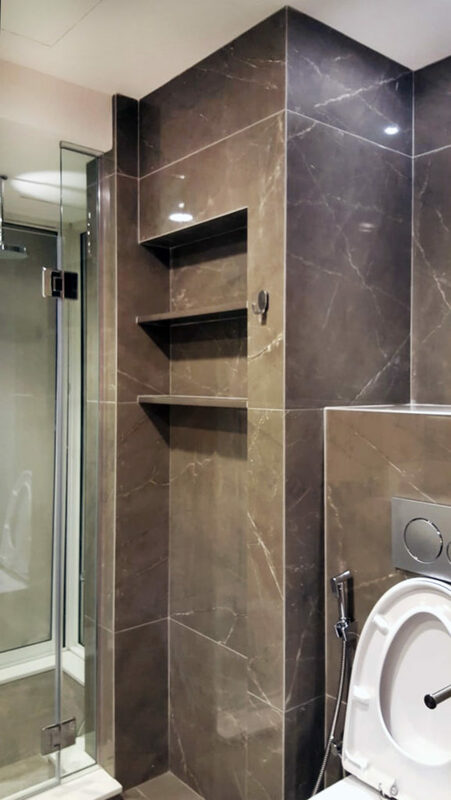 From getting your shampoo and conditioners easily from the three-tier stainless steel rack to having your clothes and towel hangar available with space when you need it, it can save you from frustration! 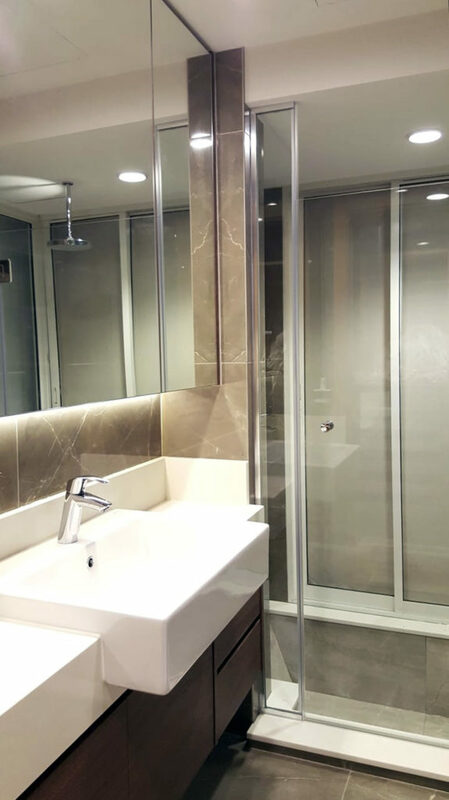 We will be happy to customize a package according to what you need and we will advice you on what works and how we can put forward your renovation plan. Reno Pro believes that renovation works can be made smoother and easier to bear with good support from concierge. Working out a schedule and an easy process for you so that you can have a peace of mind while the reno works are done is what we believe in. Reno works should not disrupt too much of your daily life at home. Our customers are our motivation. We want to provide only the best customer service to you when you engage us at Reno Pro. We strive for 100% customer satisfaction and we do our best to guarantee it. 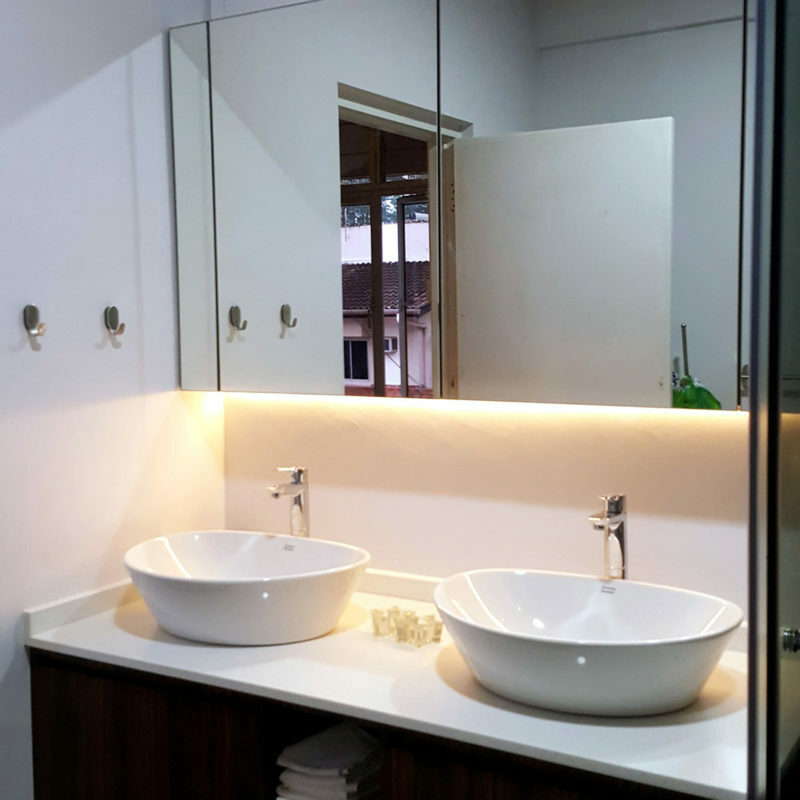 If you are looking for bathroom renovation for your office or workplace, we can also come up with a customized quotation. We are excited to hear from you. Drop us a message and we will respond to you as soon as we can.